This model has been discontinued. Visit The 7 Best Weber Grills for 2019 for other options. Simply put the Weber Genesis line of grills are the best you can buy in this price range and beyond. The list price is $899 but you can typically find it for around $750. What you get with the E-320 is a three burner grill (available in three colors) and a 12,000 BTU side burner. Other models in this series come without the side burner or include a sear burner. You decide which configuration works for you and buy only what you need. 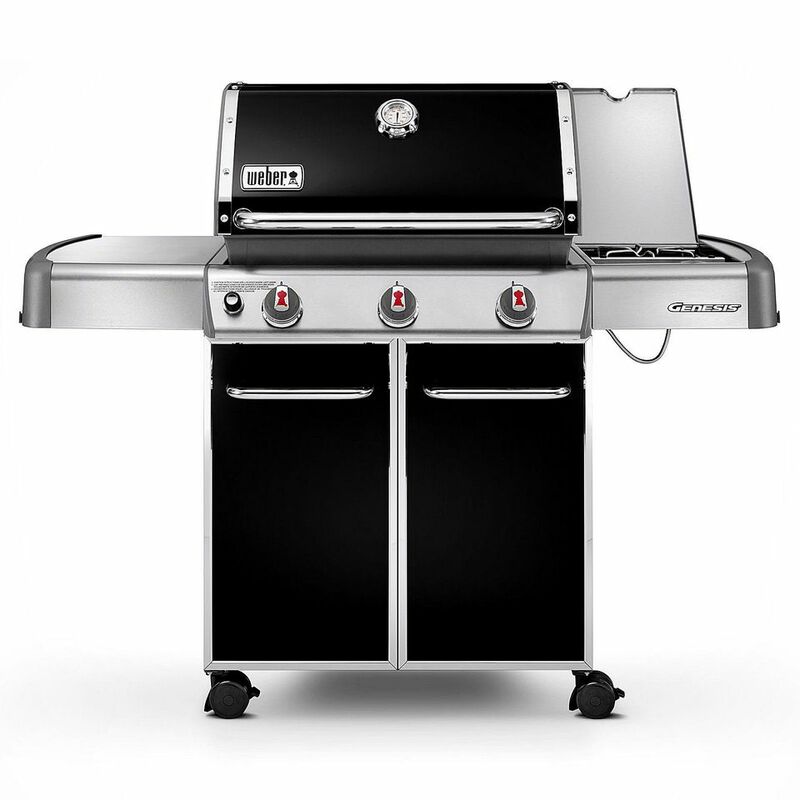 For 2011, Weber redesigned their popular line of Genesis grills. The burners, which used to run parallel to the front of the grill, with controls on the right side table, are now run perpendicular to the front of the grill with the controls in the front. Now, after 25 years, the Weber Genesis grill is much more like all the other grills on the market, at least as far as the burner design goes. Being Weber, this wasn't a rash decision and after three years of development, the new Genesis grill is a more efficient grill. Put simply, this grill is one of the most efficient standard gas grills on the market as well as one of the best built. For the price, there really isn't a better grill on the market, and while this is a basic, no-frills gas grill it does what you want, it grills hot and fast, while giving you the ability to do low, indirect grilling. To really understand the Genesis grill you need to look inside the firebox. The three burners put out only 38,000 BTUs under 507 square inches of cooking space or about 75 BTUs per square inch. While this is low when compared to other gas grills, the efficient design holds in heat. The problem is, while this grill can hold in heat, without the extra power it takes longer to heat up. What really makes the Weber Genesis E-320 stand out is its quality. The attention to detail that takes 3 years to change the burner design can be seen in every part of this grill. This means that everything on this grill works, and since there is a 10-year warranty on virtually everything in this grill you can rely on it to last for at least a decade and I would believe longer. This model includes a 12,000 BTU side burner under a flush mounted cover on the right side table.